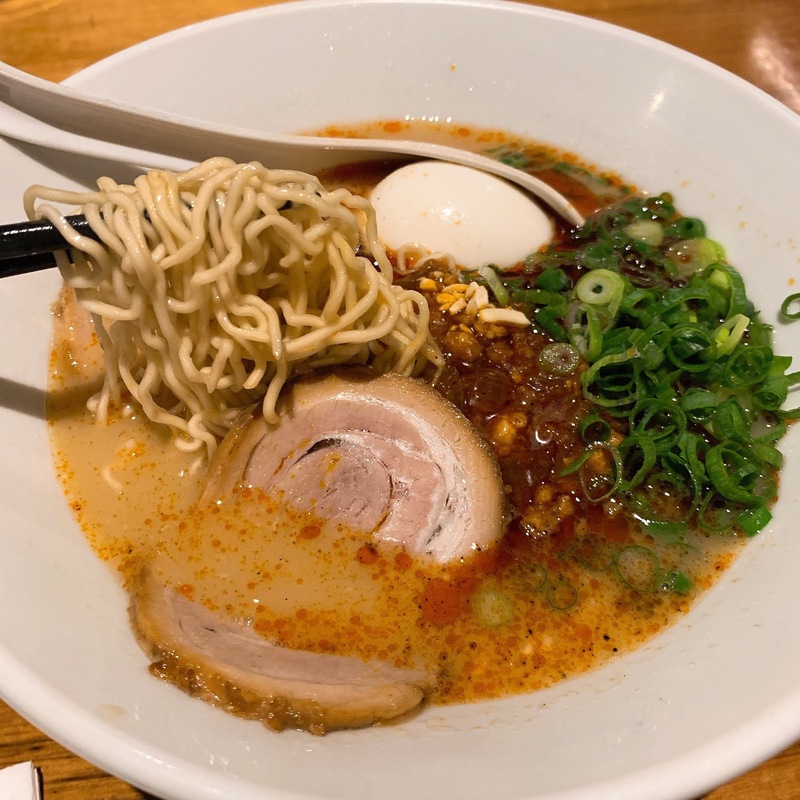 Ippudo is a Japanese ramen restaurant chain with locations around the world and famously known for their tonkotsu - a pork based broth. I've never been to their US locations so I was excited to find one in the Westfield shopping center near our hotel. There was a long line for the ramen shop when we arrived, but it moved quickly. 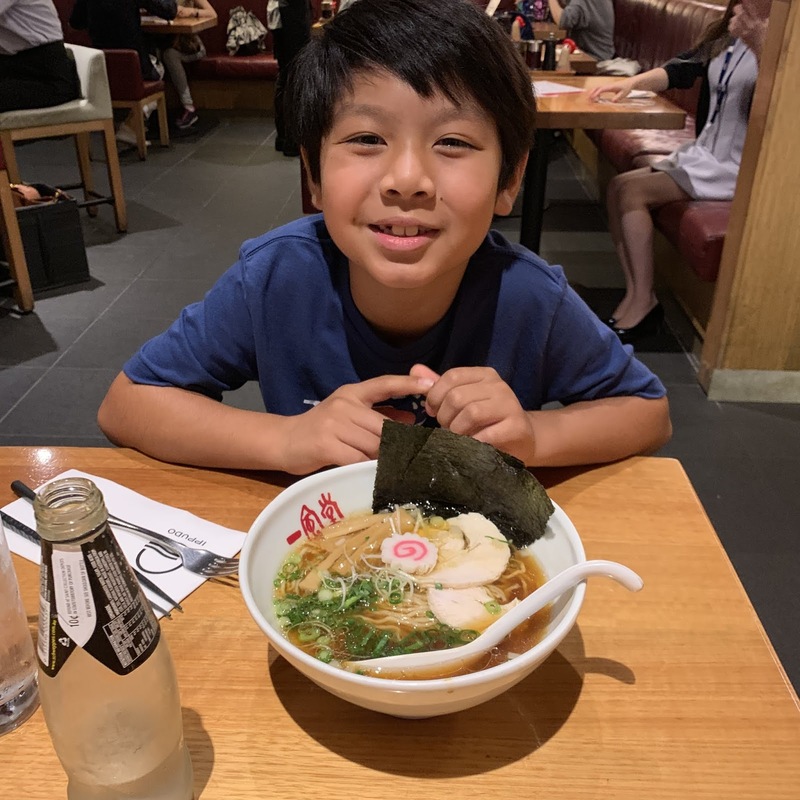 I was a little disappointed that the children's menu didn't have any ramen offerings, but it turned out okay as Cade was almost able to finish his entire bowl of a regular serving. You choose the hardness of the noodles and they recommended hard so we stuck with that. 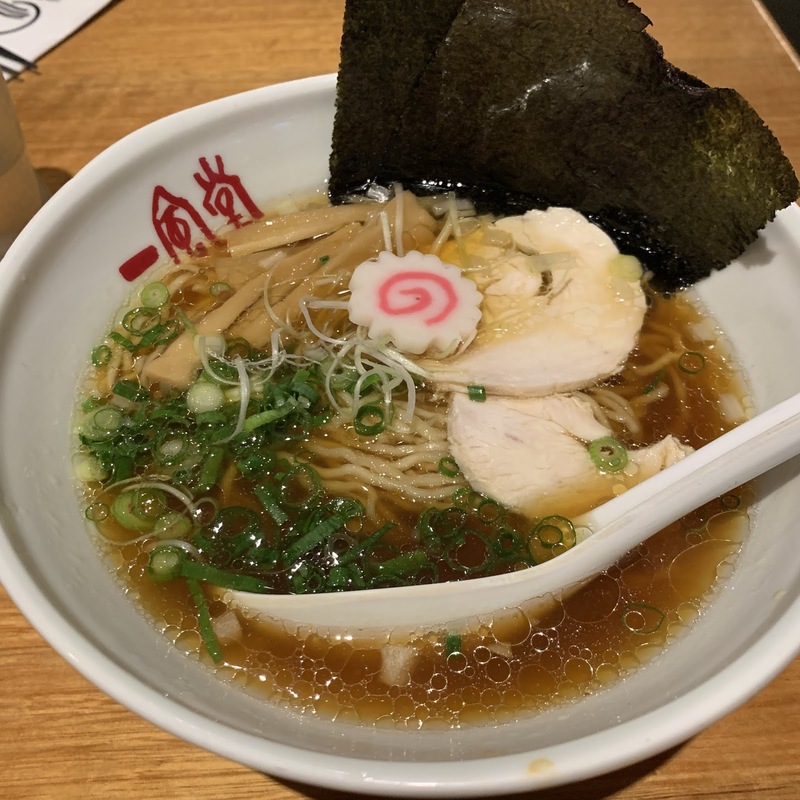 Both our ramens were delicious and the broths flavorful. Definitely recommend. All smiles! The ramen was delish!